Aquarium researchers and staff are on expedition to the remote Phoenix Islands Protected Area (PIPA) to study the natural history of the islands, surrounding reefs and connecting open water ecosystems. Research on this expedition will directly inform the management and maintenance of this world-renowned marine protected area. Today's post comes from the expedition's chief scientist on land Randi Rotjan. 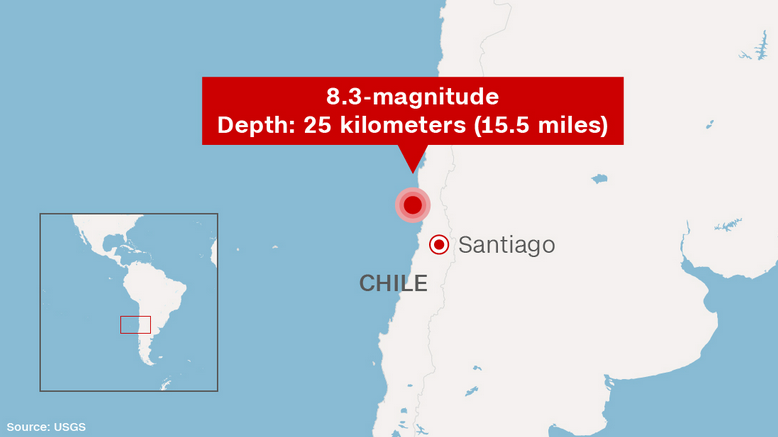 As many of you are aware, a major earthquake with a preliminary magnitude of 8.3 occurred near the coast of Central Chile at 22:54 UTC yesterday (Sept 16, 2015). As a result, there have been low tsunami warnings and predictions resonating throughout the Pacific. The most recent data shows that the wave registered at Pago Pago within the past hour at 0.7 feet. It is projected to be similar or even further dissipated by the time the Phoenix Islands are impacted (within the hour, at 13:42). As a precaution, the ship has moved a little further offshore and no divers are currently in the water. We have been in constant communication, and the ship is well aware of the predictions. All is expected to be fine. For real-time updates, please follow the Pacific Tsunami Warning Center page.